Canada's Torex Gold Resources (TSX:TXG) issued a media report stating that, in 2018, it produced 354,000 ounces of gold at its El Limón Guajes Complex, or ELG, located in southwest Mexico. From January to September, the company produced 246,309 ounces of gold in doré, with 11,322 additional ounces gold in carbon fines. The company also reported selling 348,000 ounces of the yellow metal. According to Toronto-based miner, the numbers show record production and sales, which was almost unexpected given that the mine experienced a series of issues last year, including a five-month blockade led by Los Mineros Union. "Achieving a production record at the top end of production guidance is a credit to the quality of the asset and the quality of the corporate and site teams who managed through significant complexity in 2018. Safety and environmental protection performance were also excellent. In Q4/18 plant throughput averaged 13k/t so there is some work left to do to get to the design level of 14kt/d. Sub-Sill produced at above design rates of 850 t/d in December," Fred Stanford, President and CEO of Torex, wrote in the report. According to Stanford, 2018 was also a good year on the growth front, as the firm advanced successful exploration/infill drill programs and introduced new technology into its mining operations. Such growth, the CEO said, allowed Torex to forecast production guidance of 430,000 ounces for 2019, with the bulk of the production expected for the second half of the year. 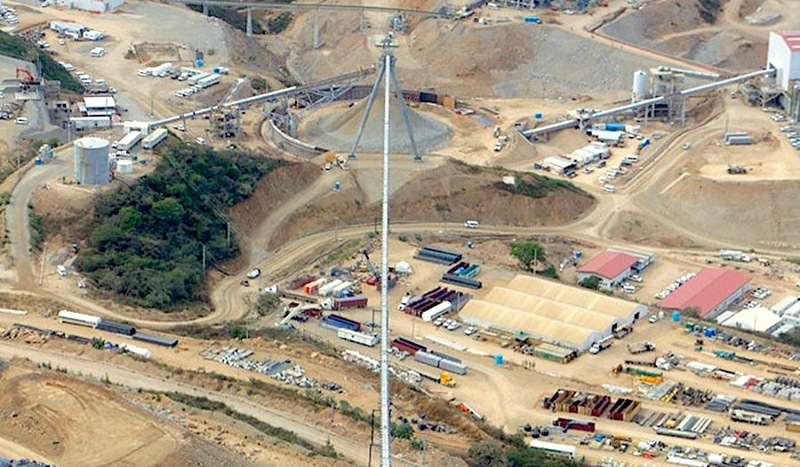 The ELG complex, located in the state of Guerrero and considered one of the richest gold deposits in Mexico, is comprised of the El Limón, Guajes and El Limón Sur open pits, the El Limón Guajes underground mine including zones referred to as Sub-Sill and El Limón Deep, and the processing plant and related infrastructure, as well as the Media Luna deposit, which is an early stage development project.